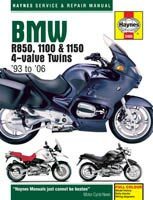 BMW R850, R1100 & R1150 4-Valve Twins (1993 to 2006) Haynes Manaul. Whether carrying out a routine motorcycle service, general maintenence or rebuilding the engine, Haynes shows you how. 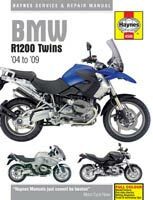 BMW R1200 Twins (2004 to 2009) Haynes Manaul. Whether carrying out a routine motorcycle service, general maintenence or rebuilding the engine, Haynes shows you how. 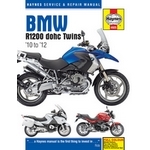 BMW R1200 DOHC Twins (2010 to 2012) Haynes Manaul. Whether carrying out a routine motorcycle service, general maintenence or rebuilding the engine, Haynes shows you how.